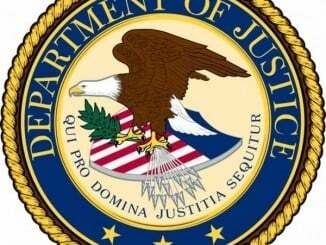 Chicago, IL-(ENEWSPF)- A Park Forest man has been convicted in federal court of leading a crew of armed robbers that targeted cellular telephone stores in the Chicago suburbs. ERIC CURTIS recruited several individuals to join the crew and armed them with firearms to carry out the robberies. The crew stole hundreds of cell phones while terrorizing store employees and customers at gunpoint. After the robberies, Curtis helped sell the phones and divided the profits among the thieves. The robberies occurred in 2013 in cell phone stores in the Chicago suburbs of Addison, Norridge, Deerfield and Woodridge. 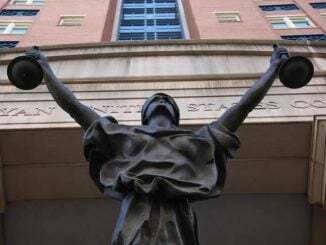 After a nearly two-week trial in federal court in Chicago, the jury yesterday convicted Curtis, 31, on one count of conspiracy to commit robbery, three counts of robbery, one count of being a felon in possession of a firearm, and three counts of using a firearm in a crime of violence. The conviction is punishable by a mandatory minimum sentence of 57 years in a prison, and a maximum sentence of life in prison. U.S. District Judge Charles P. Kocoras scheduled a sentencing hearing for Aug. 4, 2016, at 9:45 a.m. Evidence at trial revealed that Curtis’ crew conducted takeover-style robberies. Crew members would enter a store, brandish firearms and order employees and customers to the back of the store. The robbers would take as many cell phones as they could stuff into their duffel bags. Seven other members of the crew previously pleaded guilty and are awaiting sentencing. The prior convictions include another top leader, ERIC ROGERS of Hazel Crest. Rogers admitted in a plea agreement that the crew also robbed cell phone stores in Joliet and downstate East Peoria, as well as a store in La Porte, Ind. Curtis’ conviction was announced by Zachary T. Fardon, United States Attorney for the Northern District of Illinois; and Michael J. Anderson, Special Agent in Charge of the Chicago Office of the Federal Bureau of Investigation. The police departments from Woodridge, Deerfield, Joliet, Norridge and East Peoria provided substantial assistance in the investigation. The government is represented by Assistant United States Attorneys Christopher V. Parente and Allison A. Ray.